This entry was posted on November 2016 by Adam Sweet. 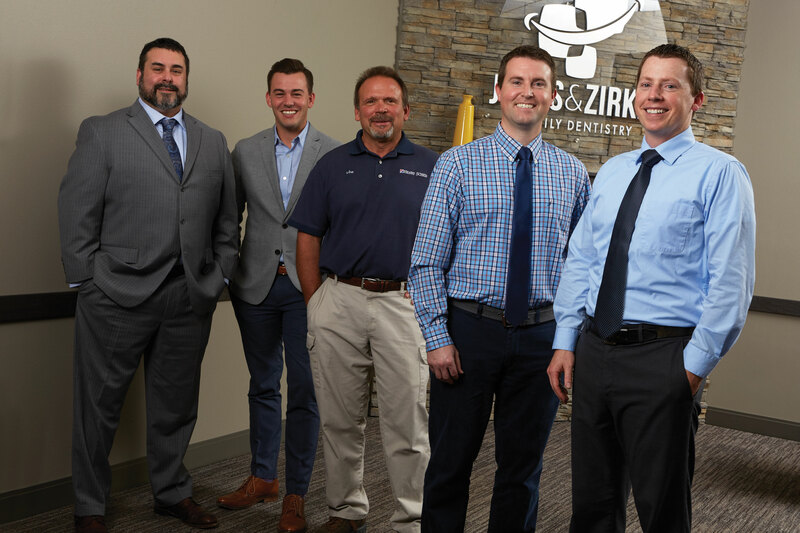 For more than a year, Dr. Garrik Jones and Dr. Darrick Zirker, owners of Jones & Zirker Family Dentistry in Iowa City, Iowa, have watched their general dentistry practice grow dramatically. Referrals are up, patient volume has increased, and staff and patient satisfaction have been outstanding. All of these positive developments can be attributed to the construction of a new office in November 2015. 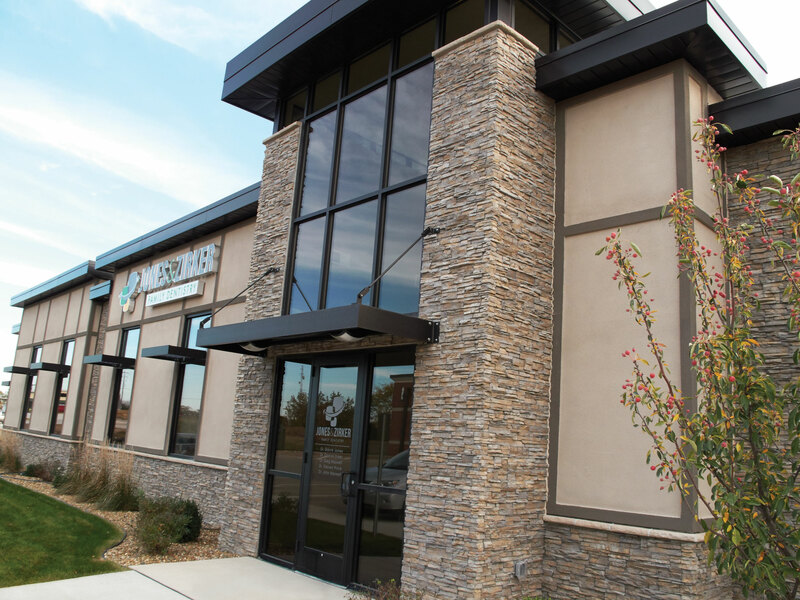 This beautiful office occupies 4,900 square-feet in a brand new, stand-alone building the doctors constructed in the upscale housing and commercial development known as Blackstone. 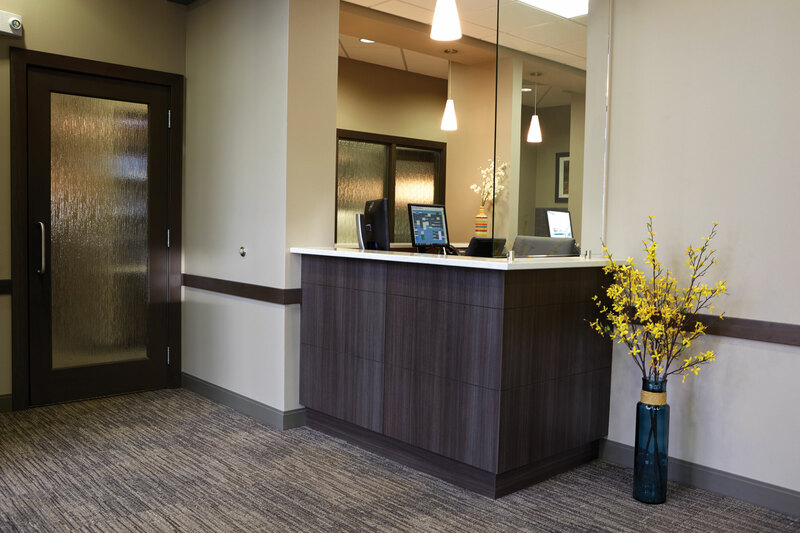 It was built to remedy specific challenges that previously held the doctors back from providing a top-notch patient experience in their old office. Some of those deficiencies included a lower-level location that wasn’t ADA accessible for patients with physical challenges; a dark and dated interior with old operatory furniture, cabinetry, and delivery units that were not ergonomical; a lack of privacy for patient check-in and check-out; and limited space for an employee lounge or even lockers. The new office is on the ground level, easily accessible from the parking lot. It opens to a spacious reception area with a welcoming fireplace and comfortable seating. Within the new location the doctors were able to implement solutions to each of their space problems while equipping the new practice with additional features that have contributed to their inspiring success. First, they went from a cramped 1960s style office with just 2,900 square-feet to a brand new, bright floor plan that is 2,000 square-feet larger and designed intentionally to maximize efficiency and minimize wasted steps and space. The office is level with the parking lot, so it is fully accessible to those who struggle with stairs or walking long distances, and it is more visible than the previous location, right on the edge of a large residential area. In the old building, a number of other tenants had begun to move out, leaving vacant space or new tenants with different business models. 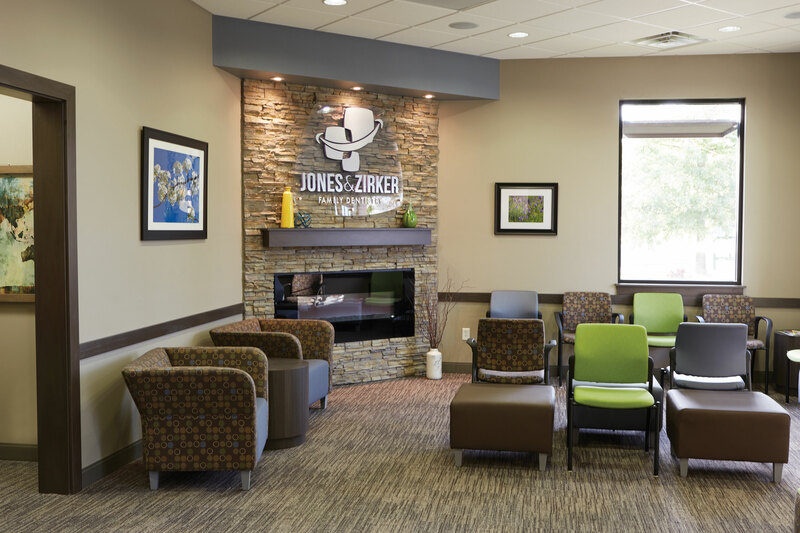 However, at their new location, Jones & Zirker Family Dentistry is in a growing, thriving area that is only going to get busier. Set on the edge of a booming residential area, the office is built in a craftsman style, with an emphasis on natural materials and an abundance of sunlight. 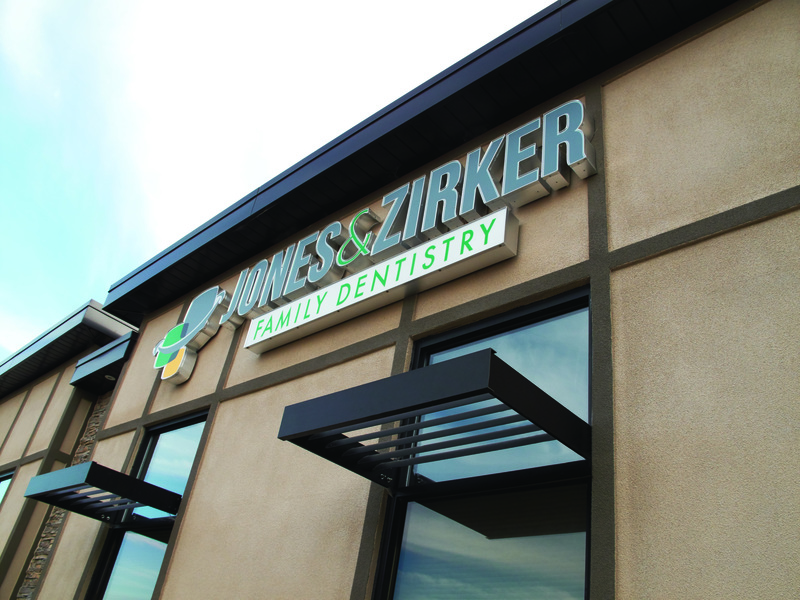 The new Jones & Zirker Family Dentistry office has 12 operatories, compared to just seven in the old location. By expanding the number of treatment rooms, the doctors had enough capacity to purchase three local practices, incorporating their patients and three doctors into the practice. Today, five doctors practice alongside one another. “Four years ago, we presented an integrated digital and paperless solution to earn the doctor’s business from another supplier through software, digital X-ray, and a digital panoramic machine. 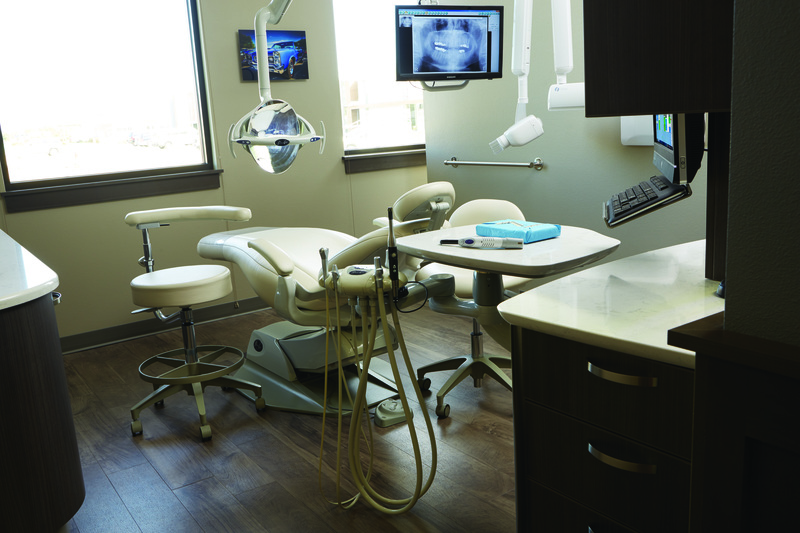 Since then, this office has been a great Henry Schein success story,” said Jason Helkenn, Henry Schein Equipment & Technology Specialist. The imaging area features the Instrumentarium OP300 digital panoramic X-ray system. 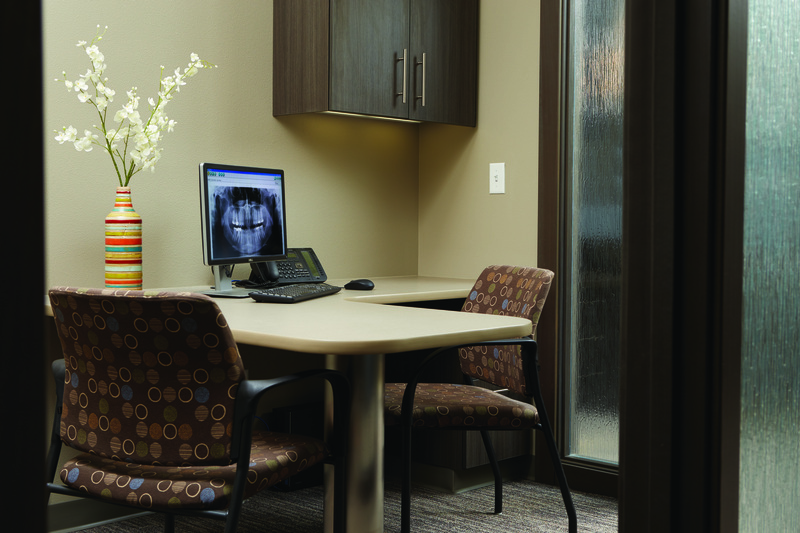 This space in the new practice makes it very easy for patients and providers to use. The conversation about building a new office began with Field Sales Consultant Garrett Hufford, and after reviewing the conclusions of a Practice Analysis, the doctors determined a new build would be possible. Mr. Hufford and Mr. Helkenn called in a local partner to help locate a site for construction and to work on a building plan. 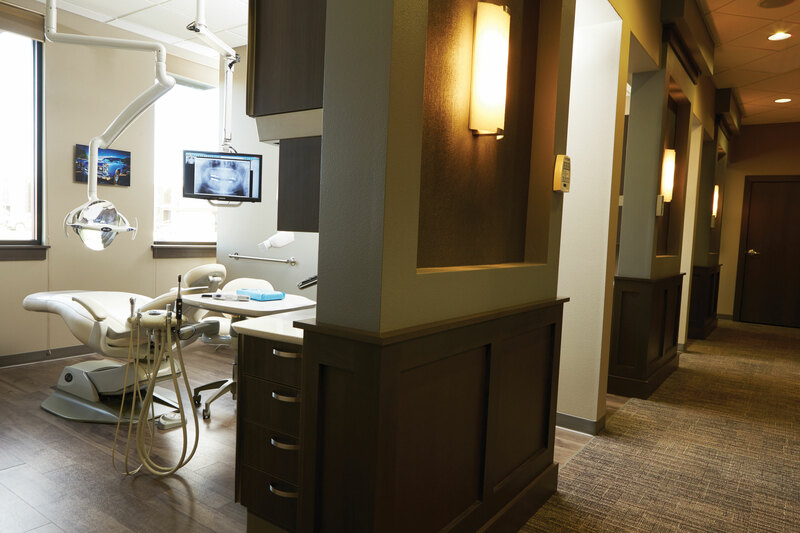 The doctors and Henry Schein team collaborated with Jay Kohlhaas of Henry Schein’s Integrated Design Studio, who provided the equipment bid spec plans and final equipment plan. 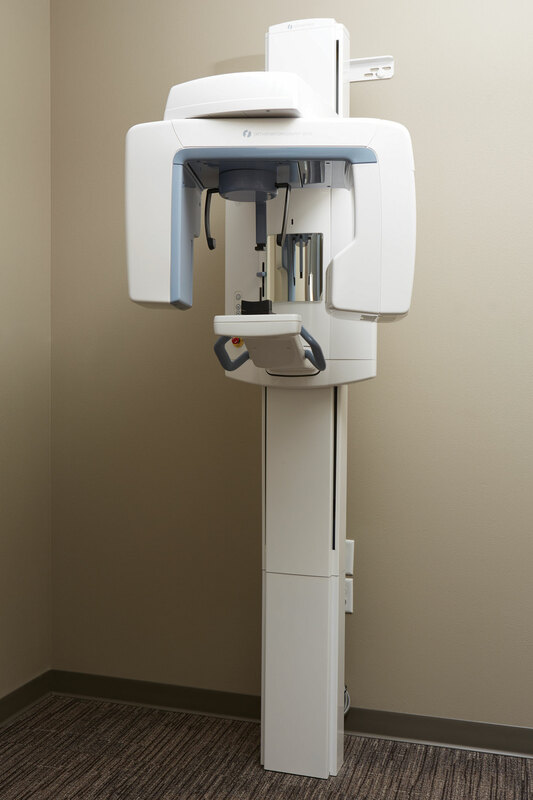 Mr. Helkenn put together an equipment inventory, verifying the digital equipment that would be moved over from the existing practice: an Instrumentarium OP300 digital panoramic X-ray machine, DEXIS sensors, and Digital Doc intraoral cameras. 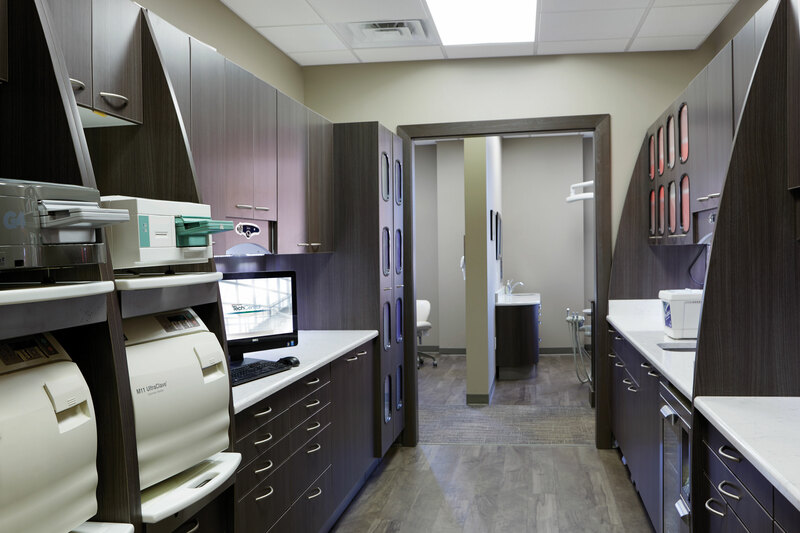 The Pelton & Crane Solaris sterilization center is a galley-style, walk-through layout, which makes it easily accessible from operatories on either side of the practice. The office exterior was built in a craftsman style, with clean lines and simple natural materials such as the stacked stone façade. Once inside, a stacked stone fireplace draws inspiration from the exterior, and upholstered modern accent chairs warm the large reception area. Neutral tones are woven into the wall colors, upholstered chairs, and carpeting. 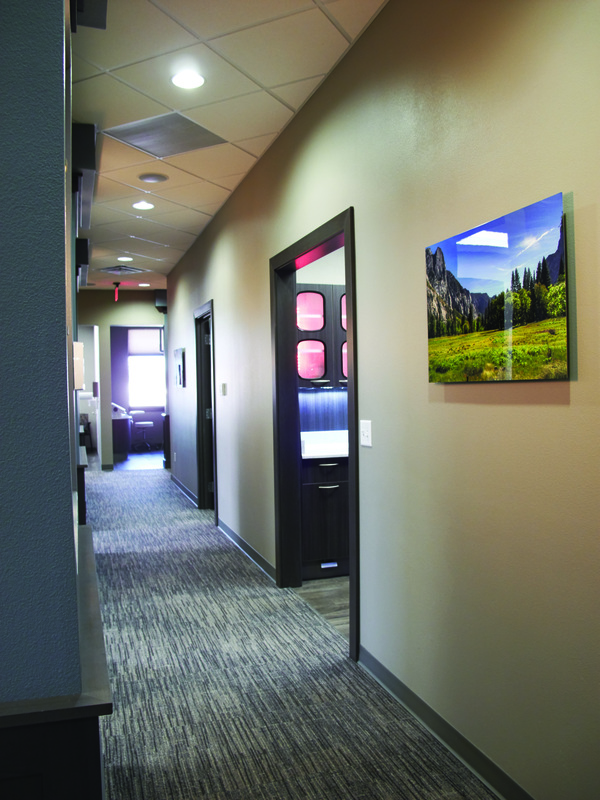 Inside the clinical area, durable vinyl floors take over, and colors are muted and soft. The workflow of the new office allows five doctors to work side-by-side. Its operatories wind along the outside of the practice. Vital areas, like sterilization and the imaging alcove, are dead center, mere steps away from all of the treatment areas. Dr. Jones, who joined the practice in 2007 followed by Dr. Zirker in 2013. 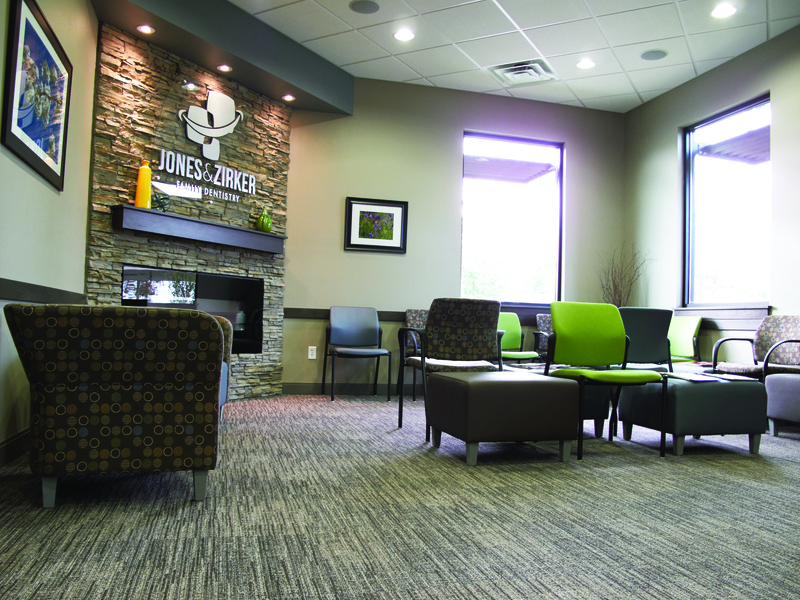 Dr. Jones specifically points to the abundance of natural light in the new office as a stark contrast from the previous office, and something both patients and staff greatly appreciate. The doctors selected an array of equipment from Pelton & Crane, featuring Spirit 1805 chairs, Renaissance cabinets, Helios 3000 lights, and 3800 Flex rear-delivery units for the operatories, which are all set up exactly the same for full flexibility in scheduling procedures in any room. 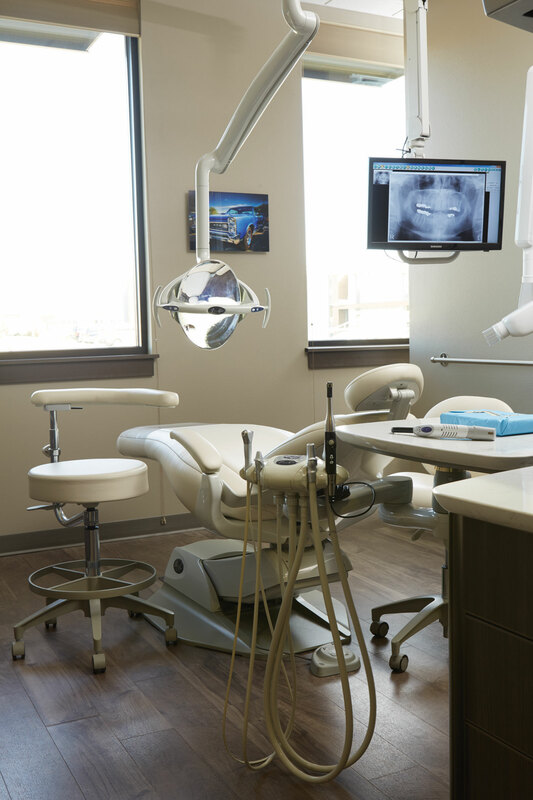 Each doctor’s operatory features KaVo electric handpieces, while each hygiene room has a Cavitron ultrasonic scaler, along with all-in-one monitors that can display the patient’s digital images for the doctor or entertainment for the patient. 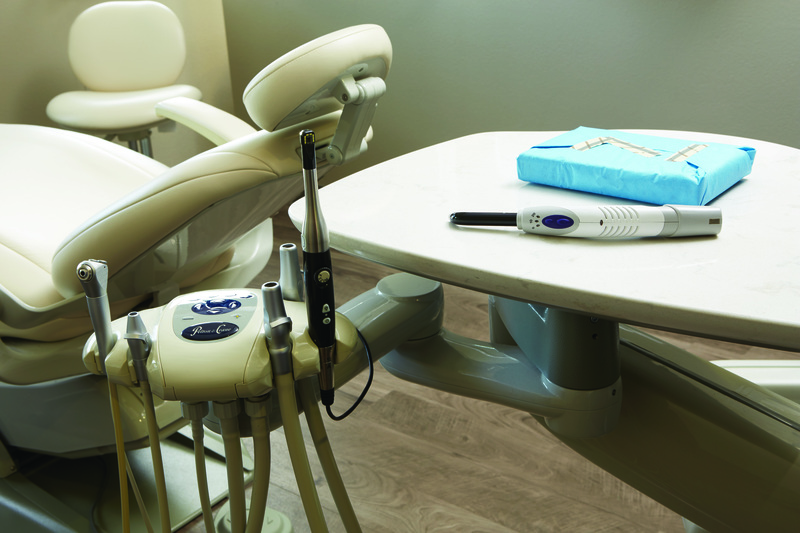 Each treatment room features chairs, LED lights, rear delivery units and cabinets from Pelton & Crane. The out-of-site delivery units along with the light coming through the large windows create a high-trust, low-fear environment for patients. Another project Mr. Helkenn is proud of is the successful merging of databases from the two purchased offices into the main practice’s Dentrix database. 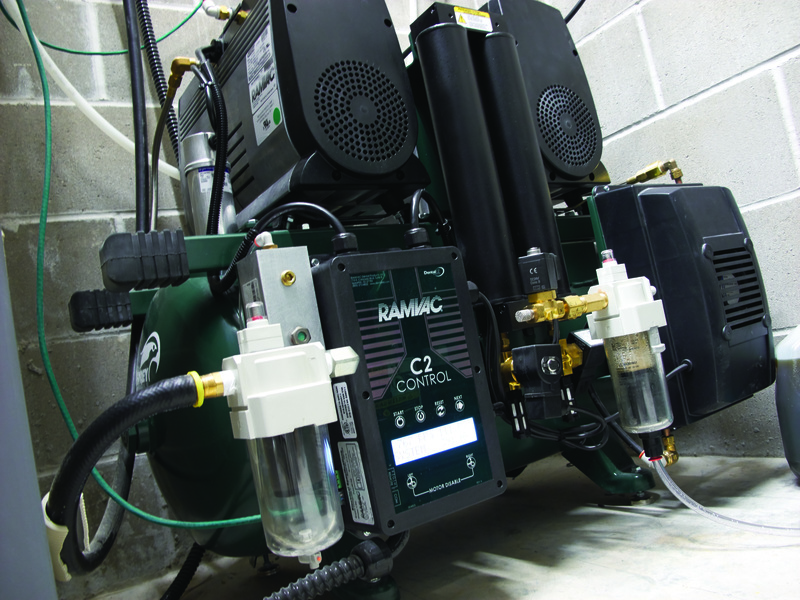 “Both offices used Dentrix, and one used DEXIS digital sensors,” recalled Mr. Helkenn. 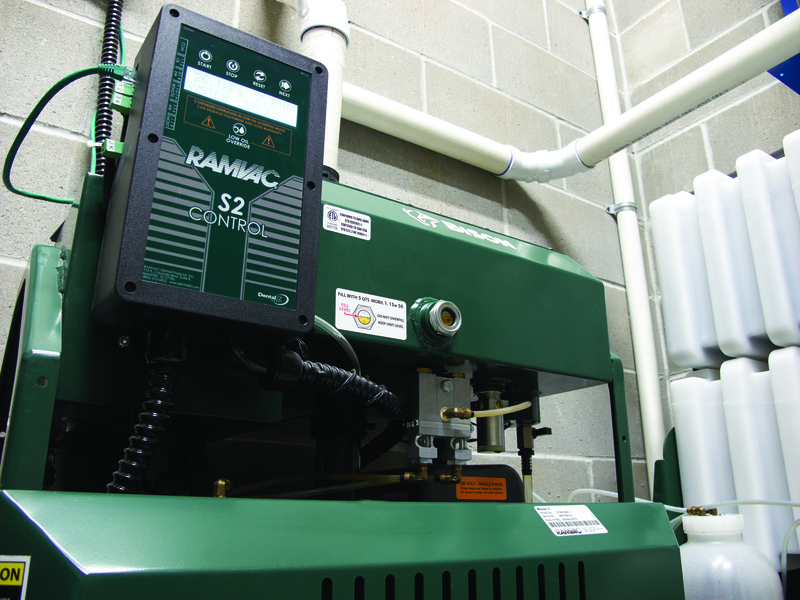 “Our teams were able to seamlessly integrate those files into one database. With a year under their belt in the new building, the doctors are busy; they are seeing a significant increase in referrals compared to the old location. Patients are excited about their experiences in the new location, and they are eagerly telling their friends about it. With so much potential in front of them, Dr. Jones and Dr. Zirker are embracing the success they have today, and they are already thinking about the future. Left to Right: Jason Helkenn, Equipment & Technology Specialist; Garrett Hufford, Field Sales Consultant; Joe Giannini, Equipment Service Technician; Dr. Garrik Jones; Dr Darrick Zirker. Originally published in Sidekick Magazine.